There's no "Happy New Year" for Puerto Rico. Puerto Rico will default -- again -- on some of its bonds payments. The island owes about $1 billion to creditors on January 4. Governor Alejandro García Padilla said Wednesday that the island will make all payments except for $37.3 million. He claims the debts that will go unpaid were never guaranteed by Puerto Rico and the creditors should know this. It will be the second default in the island's history. The first default occurred in early August. Puerto Rico is trying to figure out how to deal with about $73 billion in debt. Governor Padilla has called it a "death spiral" for the island. The economy is in recession and people are migrating to the mainland U.S. at a rate not seen since the 1950s "West Side Story" era. "We're out of cash," Governor Padilla recently told CNN. The governor blames Congress for failing to act in time to aid Puerto Rico. He wants the ability to renegotiate with creditors in an "ordered process." He believes Puerto Rico should have the same Chapter 9 bankruptcy rights that all 50 states have. It could help force creditors to the bargaining table similar to what happened in Detroit's bankruptcy. House Speaker Paul Ryan has said he plans to take action to help Puerto Rico sometime in the first quarter of 2016, but that was too late to prevent the default now. "No amount of lobbying can change the math or the facts -- there isn't enough money to provide essential services to the people of Puerto Rico, repay our existing obligations and grow our economy, which is the only way the Commonwealth will ever be able repay our creditors," said Melba Acosta Febo, head of Government Development Bank for Puerto Rico, in a statement Wednesday. There was concern that the default would be much larger, but Puerto Rico was able to make all of its general obligation bond payments, the debt that has the most legal protections and is held by many mutual funds and even some Puerto Rican residents. What's next for Puerto Rico? The Obama administration supports giving Puerto Rico Chapter 9 bankruptcy rights, but it is up to Congress to act. A Treasury Department spokesman called the island's situation a "dead end" with Puerto Rico now resorting to "shifting funds from one creditor to pay another." 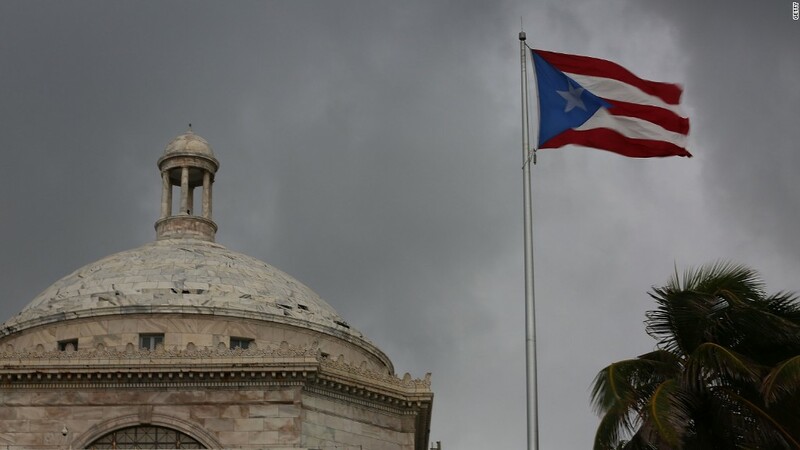 In a statement Wednesday, Puerto Rico warned that there isn't a lot more the island can do to find money to pay its debts in 2016. Unless bondholders negotiate new terms, Puerto Rico said it will not be about to avoid default "even on our public debt." The next payment of about $200 million is due in February. Puerto Rican officials say that payment will be made. After that, the major hurdle is a May 1 payment.